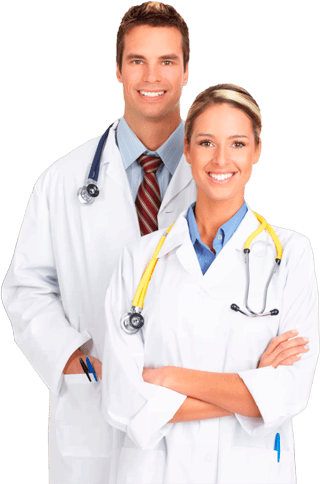 There are doctors who often seem to be too busy to answer questions and doctors who encourage their patients to ask as many questions as they have; and Nexel Medical’s doctors are definitely among those who encourage questions. So whenever our TRT doctors and clinical advisors are asked does testosterone cypionate need to be refrigerated, they are always glad to explain the answer along with anything else that adults want to learn about using this specific form of Low T therapy. If you have been prescribed testosterone cypionate suspended in oil for injection as your form of treatment, you will need to learn what the medically correct protocols for how to handle it and how to inject it are. True learning involves more than just receiving a yes or no answer to your questions; it is when you actually understand why the answer to a question is either negative or affirmative that you have really learned something. Furthermore, many questions just can’t be fully answered with a simple yes or no, and does testosterone cypionate need to be refrigerated is one of those questions. It does not require refrigeration; it can be safely stored at room temperature as long as the temperature of the room it’s been stored in isn’t excessively hot. In that case, this substance could be refrigerated – but here is what doing that could result in. The refrigeration of testosterone cypionate is likely to cause it to crystallize and separate. Injecting yourself with it once this substance has become separated in this manner can result in experiencing swelling and pain at your injection site that will persist until all of the testosterone cypionate has been absorbed into your system. The medication’s separation is usually visible in the form of cloudiness or even tiny crystals forming within the vial. Depending on the climate you live in, the separation can occur during shipment if your medication is exposed to very low temperatures while en route to you. The proper way to correct the separation before using your treatment is to re-dissolve it by placing the vial in hot water for a few minutes (making sure that you allow it to cool before handling it) and injecting it into your muscle very slowly. Testosterone cypionate is intended to be stored at average room and away from direct sunlight. What Type of Handling Does Testosterone Cypionate Require? So if the answer to does testosterone cypionate need to be refrigerated is no it actually should not be refrigerated, then are there any other handling considerations or instructions that patients need to be aware of? Well, since you will be preparing and administering your prescribed treatments to yourself, you will need to know the proper way to handle and dispose of your used injection equipment. All of the disposable needles and syringed you use will need to be disposed of in a manner that complies with any local environmental health regulations in your area that are applicable. To this end, they should be disposed of immediately after use in a puncture-proof container to reduce the chance of exposing others to risk. For obvious reasons, all injectable TRT treatment materials should be kept away from the reach of children. And it is important to use a clean, clutter-free and well-lit area for preparing and administering your testosterone cypionate injections. The vials should be handled gently and if they appear cracked or damaged, they should not be used at all. Also, if you see any small particles floating within the vial, don’t use it. As long as you are dealing with a reputable US pharmacy, whether it is a local one or an online one, if your treatments arrive to you in an unusable condition you should be able to have them replaced without cost. As far as administering your injections, make sure that you refer to a video demonstration beforehand in order to become more comfortable and familiar with the steps involved. As noted in the answer to does testosterone cypionate need to be refrigerated, make certain that your vial of treatment is at room temperature before injecting it. And also make sure that you begin with clean hands and have cleaned your injection site with an alcohol wipe. Be calm and steady in your injection technique and you’ll find that after you have given yourself just a few injections, the process will become much more comfortable and routine for you to complete. Once you begin experiencing all of the positive results provided by your testosterone cypionate injections, our doctors predict that you will most likely agree with the majority of our patients who use them that they are well worth the effort. Does Where You Buy Testosterone Cypionate Make Any Difference? When a man reaches a certain stage of life, he knows what he knows and he feels what he feels; he no longer has any serious doubts about himself. But the symptoms of testosterone loss can challenge a man’s sense of identity by diminishing his characteristics of male vitality – so it is very fortunate that medical science has produced a remedial treatment for this condition. TRT has a very quick learning curve that any man can master and asking questions such as does testosterone cypionate need to be refrigerated is all part of the learning process. Nexel Medical has streamlined the the Low T learning process for our patients by being accessible to them online and by phone; by having their treatment procedures (blood testing and medical exams) performed in their local areas; and by providing them with an secure and convenient way for them to purchase their prescribed medications online. Our doctors are often asked if it makes any difference where people purchase their prescribed testosterone cypionate or other prescribed forms of TRT treatment; and the answer is that it could. You must be certain of your medication’s quality, especially when purchasing it from an online source. If you know that how your Low T symptoms are making you feel now is not the way that you want to feel for the rest of your life, that is all the motivation you will need to learn everything you need to know about using TRT. And you can learn it from the testosterone replacement therapy medical professionals at Nexel Medical simply by calling or emailing our clinical advisors.